Hopeless Records has announced a new compilation of cover songs. The full press release about the project, the track listing, a trailer, and the video for Neck Deep’s rendition of “Torn” can be found below. Fil Thorpe-Evans is leaving Neck Deep. His full statement can be read below. Neck Deep had a performance air on Last Call with Carson Daly last night. Video of the performance can be found on NBC’s website. Neck Deep and security at Nottingham Rock City apparently got into a scuffle last night during their set. Both parties have released statements and you can find those below. Neck Deep have teamed up with the Keep a Breast Foundation for a contest to win a VIP Warped Tour experience. The full press release can be found below. Neck Deep have begun working on a new album. All Time Low have announced an Australian tour with The Maine and Neck Deep. Neck Deep’s Ben Barlow has left the band’s current tour after the passing of his father. A full statement from the band can be found below. Neck Deep are a pop-punk band from Wales who have a deep history with the APMAs. Lead singer Ben Barlow played with A Day to Remember at the 2014 awards and the band played this this year as well. I spoke with the band briefly on the red carpet and you can find that interview below. Pierce the Veil have announced new tour dates. Neck Deep and I Prevail will support. The dates can be found below. 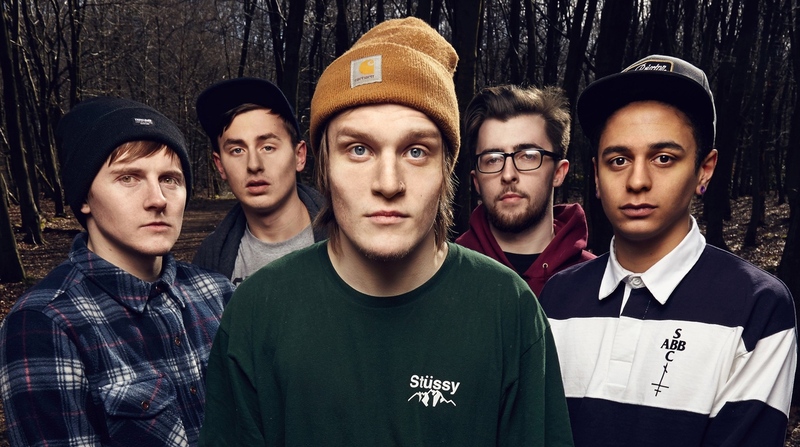 Neck Deep have also released a video for “December” (feat. Chris Carrabba). Neck Deep have released a video for “December” (feat. Mark Hoppus).